The second Peco cross country race on Sunday finished off my first 50+ mile week for many months. It was staged at Golden Acre Park which is conveniently a 15 minute jog from my front door. After a poor performance at the first race of the series and two consecutive nights of a few beers, I wasn’t expecting much. However, I was relatively pleased with my run of 33:14 for the 4.8 miles of proper old school cross country. Plenty of mud, tree roots, overhanging branches and little short sharp ascents and descents, it was certainly a more genuine cross country course than the one at the European Championships last Sunday. That race for elite athletes was staged on a big flat field with a couple of 8 inch logs laid across the course. 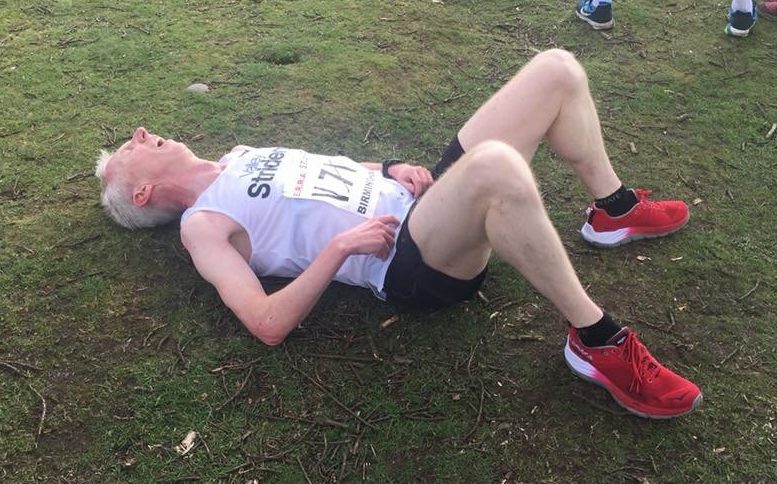 I’m writing this just after the Peco race, so I don’t know my finishing position, but I felt I did a bit better than the first race at Temple Newsam when I didn’t quite make the top 100 male finishers (the field was 388 men). I really blew up near the end of the Temple Newsam race, but this time I was fairly strong near the finish and managed to grab a couple of places during the last 600 metres. With 16 weeks to go, I feel in a relatively good condition – injury free, pretty fit and I have had a year of running PBs at 5K, 10K and 10 miles. The New Year is when the real marathon training starts I guess. It may well start with a whimper for me because hopefully I will be going skiing in France during the first week of January. I’ve been skiing for the past 6 or 7 winters and I originally felt that it would help running fitness. It may well do. However, the excessive eating, drinking and late nights certainly don’t and in previous winters I have come back a few pounds heavier and not quite as fit. My plan next year is a simple one. During January I will aim to run 50+ miles per week, increasing to 60+ miles during February into March. Each week will have at least one interval session (usually with Valley Striders on Tuesday nights), one proper long run of at least 14 miles and a threshold run – which will nearly always be a hard parkrun. In order to run the requisite mileage I will have to run some medium long runs of 10m+ during the week. This will most easily be achieved by running a slightly longer route from work on my run commute (standard distance is 5.5 miles each way). The length of the long runs will gradually increase and ideally I’d like to meet Tom William’s maxim that the distance of the five longest runs before a marathon should exceed 100 miles. Speaking of Tom, who is of course the co-host of the consistently excellent http://www.marathontalk.com podcast, I see that he and co-host Martin Yelling are also running at Manchester next April. Tom is following something called the Pfitzinger and Douglas marathon plan, which to me sounds like a cross between ED medication and a crash weight loss diet. Tom is a very determined individual so it will be interesting to follow his progress. Tomorrow, I have the luxury of a day off work – I am using up the last of my annual leave allowance before the end of the year. I’ll write my Christmas cards, wrap some presents, but best of all I can fit in a morning long run along the canal with Rav from Valley Striders. We plan to run 16 miles – he’s much faster than me so hopefully he’ll be gentle!